Lord Dacre, Doctor of Divinity, Regius professor of History Oxford, former Master of Peterhouse, Cambridge, Director of The Times newspaper London, remembered amongst others for his acclaimed “last Days of Hitler”, but also of his involvement in the scandal of the forged Hitler’s diaries. An excellent, balanced and thought-provoking account, thoroughly backed by references, quotations and illustrations. Adam Sisman was elected President of the Johnson Society of Lichfield, and he is currently President of the Boswell Society of Auchinleck. He is an occasional broadcaster on radio and television, and a frequent reviewer in the Sunday Telegraph, the Los Angeles Times and the Literary Review. Salomé Zourabichvili was born in France, of Georgian parents who were political exiles since 1921. As a young diplomat representing France at crucial European negotiations in Vienna, Zourabichvilly countered the efforts of former Soviet aparatchik and foreign minister Georgian-born Eduard Shevarnadze at climbing down from his remit of excluding the Caucasus region from within the definition of and appurtenance to Europe. Shevarnadze at that time was acting for his Moscow masters and as such wanted Georgia to remain outside Europe’s boundaries and well anchored within the sphere of influence of the former Soviet Union (CIS/Russia) – he failed and Zourabichvili won the argument of the day. Subsequently Zourabichvilly was nominated French Ambassador to Tbilisi. Soon after Mikheil Saakashvili Georgian President, on a visit to Paris, asked President Chirac to “lend” him the services of Salomé Zoourabichvili, to be appointed Georgia’s Foreign Minister, a position she held for some two years. Currently, Miss Zourabichvili has formed a new political Party, “Our Georgia” and she is also teaching at her old school in Paris,”Ecole de Sciences Politiques” – the famous “Sciences Po”. I bought Orwell’s Diaries thinking that I could glean more information about his philosophical conversion from Spanish Republicanism to what had become later a lucid critic of left-wing dictatorship. It appears, sadly, that two notebooks of diaries covering the Spanish Civil War have made their way into the archives of the NKVD (The Soviet Secret police) and are under lock and key to this day. Clearly even after his demise Orwell’s writings are considered by some to be still seditious. I came across the works of Orwell, oddly enough, behind the Iron Curtain in Romania, as a teenager enduring the harsh neo-Stalinist dictatorship of Gheorghiu-Dej, the national-communist predecessor of Nicolae Ceausescu. This was no mean feat and a curious one at that: The classic ‘1984″ Novel was translated in French and serialised in the popular French weekly “Paris Match” which was embargoed in Romania, under severe censorship restrictions. However, by a miracle, my private French teacher in Bucharest had a former servant who was a cleaner.maid at the French Embassy in Bucharest and without doubt a secret service agent. This woman who was barely literate spoke no french and brought home these magazines merely because she found the illustrations attractive. My French teacher, a cultivated lady from the former Romanian aristocracy, who was educated in Switzerland and fell on hard times after being expropriated, borrowed these magazines and transcribed by hand the whole of Orwell’s 1984 novel. I had the privilege of being lent these notebooks and found the reading fascinating, more so as I identified myself perfectly with the character in this book and the whole atmosphere described by the author as one which we were experiencing in Romania under a communist dictatorship. My father upon discovering my illicit reading begged of me to return the manuscript forthwith because if we were denounced and found out, or if for any reason our house was searched we would be put in prison for reading Orwell. In retrospect I still think that hardly any Western author and more so after the WWII had had the clear vision comparable to that of George Orwell, especially when one would think of those fellow-travelers and assorted “useful idiots” who were eulogising the Soviet dictatorship, in spite of irrefutable evidence to the contrary. 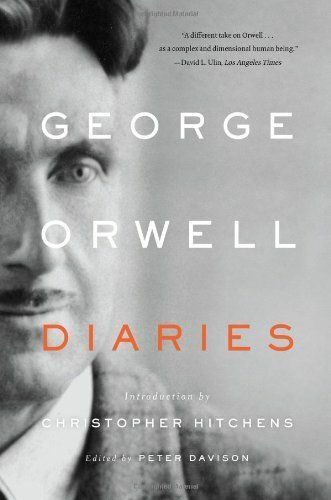 This edition of the diaries shed a fresh light on George Orwell, on his private life as much as on his national and international political observations. They are replete with useful details for the historian, political analyst or academic, but not only – as it offers a fresh angle on the troubled history of Europe for nearly two decades of the 1930s and 1940s. There are nuggets of information which explain better the rationale behind our fathers and grandfathers political options, than what we were conditioned to believe from school books or politically correct textbooks. All in all a riveting read which I recommend. This is a huge fresco of the rise and fall of a dynastic family which made its fortune in coal mining. The narrative is projected against the social and historical background of Victorian and Edwardian England. I found this book fascinating for bringing back to life, in vivid colours, Royalty and aristocracy, old and new money against the backdrop of a social and historical sea change of the British Society. For, in spite of the fascination the reader may derive from a glimpse to the rarefied existence of this class, the author sees that it presents the very source of the wealth of this bipolar society – that is the miners’, who dig out those “black diamonds”. This interdependence, with its complex dynamics, is beautifully researched and presented without making the book tedious. Quite the contrary, it maintains a brisk pace, offering the reader a kaleidoscope of minutia, which come back to life with its rich and compelling details. I give this read five out of five.